Many health businesses struggle to make their digital marketing work. We’ve identified that there are common mistakes that the majority of businesses are making in relation to how they use Google, Facebook and other digital marketing platforms. Your Easy Web Solutions and Allied Health Marketing have put together an event with the support of Google. The objective of the event is to help health businesses with direction and strategy when it comes to digital marketing campaigns. From our observations, most health businesses either don’t do any marketing, or they market by trying to copy what other businesses do. This usually results in wasting time, poor results and high costs. Because of these reasons, we’ve decided to put together this event. Throughout the workshop, we will be addressing specific areas of marketing campaigns. 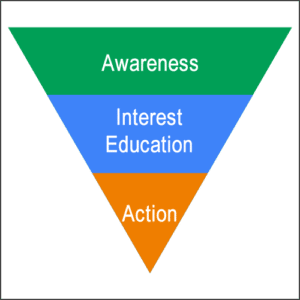 These areas are ad placement, ad copy, lead progression through the marketing funnel, and tracking. The objective is to educate you on what works and help you identify what doesn’t. Your Easy Web Solutions will be doing case studies on how they generate leads for clients for as low as $17 per lead. They will be covering their ACUA principle and how they use landing pages to achieve high conversion rates (over 20%). This event is also a great opportunity to ask questions regarding Google marketing and tools. If you have any questions that relate to specific matters, please contact us beforehand, so that we can best address them. Register for this event to secure your spot now! Q: I am not from the health industry, can I still come along? Q: I can’t make it to this event, is there another one in the near future? A: This event is specific to the healthcare industry and at this stage is the only one planned. There will be other events in the future on other topics and industries, please contact us if you wish to be notified. Q: What do I need to bring to the event? A: Bring yourself, a pen, and a notepad.